Nadine Werner did her apprenticeship in bookbinding in Hamburg with further education as a handicraft designer at the Craft Academy for Design in Kassel. In 2007, she began working for Canadian publishers Hartley & Marks as a product designer. She was developing as one of the driving forces the notebook series "paper-oh". She took several courses at the Centro del Bel Libro and after winning the Bel Libro Award in 2009 she began teaching. 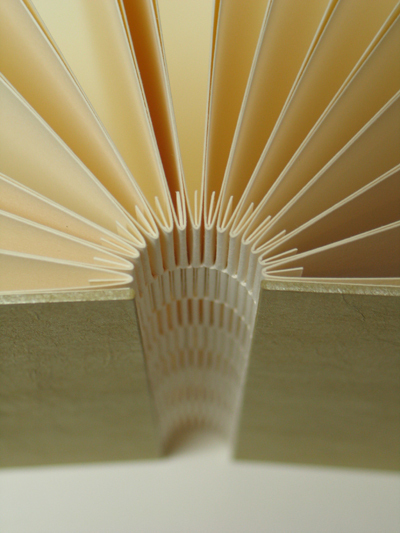 Her fields of expertise are adhesive-free binding book constructions and magnetic closures.